I was excited yesterday when I saw the CFO of Vodacom Oluseyi Olarenwaju sent me a message on LinkedIn commending my profile. So my question today to all undergraduate, graduate and workers looking for a change: why haven't you taken this opportunity to define what comes up when your name is searched for? Today, LinkedIn recommended a Job that fits exactly what I am studying, surely if I was a graduate I would have as quickly applied. Enough is said about what LinkedIn can make of your career. 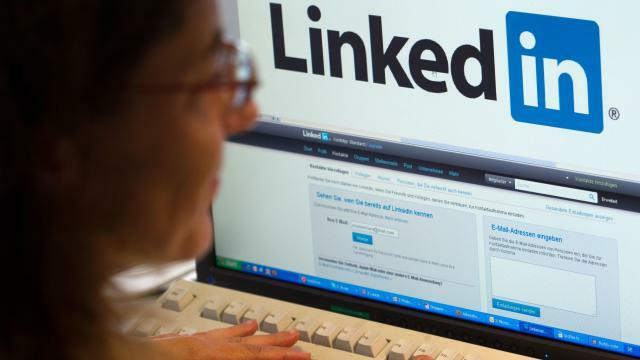 Here are five obvious reasons you should set up your LinkedIn account today. If you are pursuing a career in any field, forget facebook and focus on LinkedIn. Your profile is like a Resume or CV and anyone in the world can see your qualifications and call you up. Even if you have a job, having a killer LinkedIn profile can increase your chance at success in case you want a change. I am just an undergraduate. But through LinkedIn I was able to make contact with the CFO of Vodacom and also the Head of a unit at one of the big four. Why am I telling you this? Just so you can see that the social network gives you the opportunity to build a professional netwok of quality people from around the world. You can also use this platform to connect with others in your industry. Who knows, there might be a better position elsewhere. Even entrepreneurs can use this to meet with others in their industry and learn more. It is said your netwok determines your network. Once you set up your profile, LinkedIn starts matching your skills to positions advertised. This is done automatically and you get notified about it. Imagine how helpful this can be when searching for a job. I noticed that sometimes, there is alot we want to express on our CV but in a bid to conserve paper and not make the CV bulky, we omit them. I noticed this when I applied for an internship position at KPMG(I got in by the way). A simple link to my LinkedIn profile on my CV was really helpful in selling my self to them. With LinkedIn you can write as much as you want and state all your experiences in details. And the platform presents it so professionally for you that it doesn't look to bulky. This goes to business owners and entrepreneurs. You can make use of the platform for your recruitment and get more qualified and experienced personnel. LinkedIn.com is the website go on and register if you haven't already. Be sure to Google Tips on how to setup your profile properly. I would in a later post write about that as well.